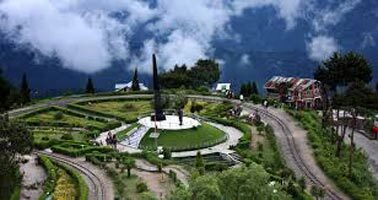 Our representative will be there to receive You at New Jalpaiguri Railway Station (NJP) / Bagdogra Airport (IXB) / Tenzing Norgay Bus Stand (Junction) - You will be assisting for the transfer - Darjeeling - Nearly 105 kilometers 3 ? - 4 hours drive - At an height of 2123 meters / 70001 feet lies the land of breathtaking beauty, sloping tea gardens with spectacular views of the Mount Everest is the Queen of the hills - It is also home to the famous World Heritage train - The Darjeeling Himalayan Railway (DHR) - Check into hotel - Evening free to roam around Mall or local Shopping center - Over Night stay at Darjeeling. After breakfast at hotel - 135 kilometers 3 ? 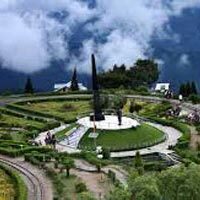 - 4 Hours drive to Gangtok- Capital of the 22nd State of India, Sikkim is one of the most beautiful hill station with varied options for tourist - It is known for the monastery, Orchids, High altitude Lake and butterflies - Check into Hotel - Drive for visit to Directorate of Handicrafts & Handloom, Research Institute of Tibetology, Do Drul Chorten (Stupa), Enchey Monastery, White Hall, Flower Show, etc - Directorate of Handicrafts and Handlooms, Research Institute of Tibetology, Chorten (Stupa), Flower Show, Rumtek Monastery, View Point, Botanical Garden - Back to Hotel Evening free to roam around M G Road (Mall) or local Shopping center - Over Night stay at Gangtok. Morning breakfast at hotel - Excursion to Tsomgo Lake & Baba Mandir nearly 40 kilometers and 2 hours drive along the Kyongnosla Alpine Sanctuary, the home to the red panda and the blood pheasant with Rhododendron and other alpine trees along the road - Situated at an elevation of 3753 meters / 12310 feet - The Lake is oval shaped lake nearly 50 feet deep - Generally covered in snow for most of the year the year - This lake is home to the Brahmini ducks & many migratory birds - Nearby is the sacred Baba Mandir known to be a very holy site for all - Nathu La Pass to Republic of China is nearly 20 kilometers and is optional tour - Back to Gangtok - Evening free to roam around M G Road (Mall) or local Shopping center - Over Night stay at Gangtok.